The BLGP in Brussels. 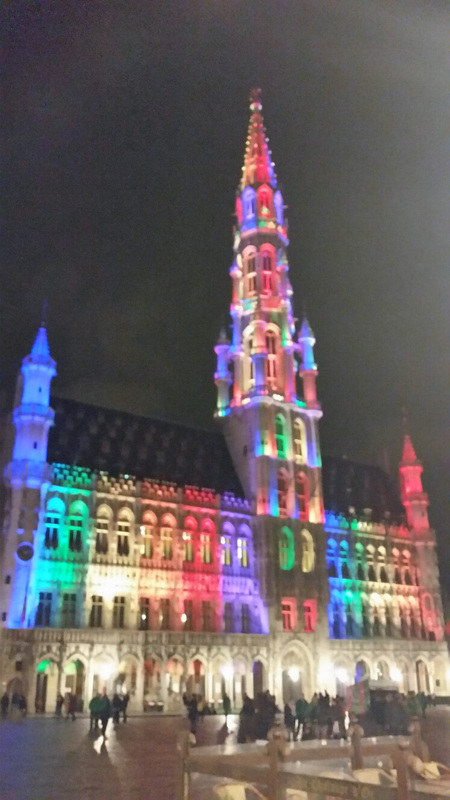 Today we call that the Belgian Pride or simply the Pride. Now operating in all Belgium, with a gayparade in Brussels. Rainbow Festival on Friday, Saturday and Sunday, near the Steenstraat and Beursplein. The highlight of the Pride Festival is the exuberant and colorful Pride Parade on Saturday, May 19th, routed through the heart of the city. Numerous delegations provide atmosphere, party and stimulating messages. PARADE : The parade will depart at 14:30 from the rue Ravenstein (near Mont des Arts) to go through the street of Putterie, turning on the street of Arenberg. Then the direction of the rue des Fripiers, will pass the Bourse before turning into the rue des Pierres, to the rue de la Violette, the place of the Vieux MarchÃ© aux Grains .